We need you to stand with farmworkers and boycott VUSE, a Reynolds American e-cigarette brand, until Reynolds agrees to give farmworkers a voice and a practical mechanism that they can use to negotiate better working and living conditions without fear of retaliation! In 2007, we took on Reynolds American Inc., one of the largest tobacco corporations in the world, to address the horrendous conditions under which thousands of farmworkers labor in the tobacco fields in the South. 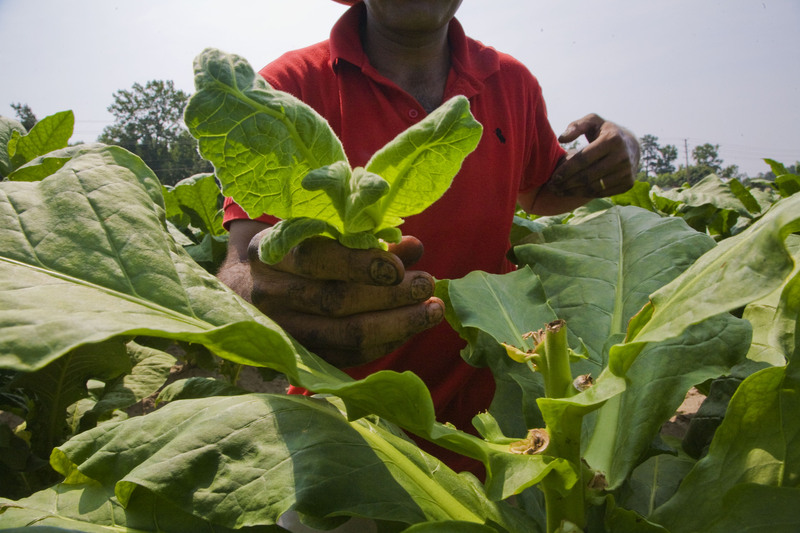 Although Reynolds does not directly employ tobacco farmworkers, by contracting with tobacco growers, they establish standards which directly affect the living and working conditions of farm workers both within their supply chain and beyond. British American Tobacco (BAT) recently bought Reynolds for $49 billion making BAT the biggest tobacco company in the world. After five years of refusing to meet, Reynolds began meeting with FLOC in 2012. Since then, Reynolds has engaged in dead end discussions, seeking to use charity programs and multi-stakeholder discussions to avoid direct negotiations with FLOC. Additionally, Reynolds has responded by issuing a series of standards for workers in their supply chain, but these have not had an impact on the ground and have yet to include collective bargaining rights. In 2017, FLOC members voted to escalate the campaign with the launching of a boycott of VUSE. The VUSE e-cigarette brand is Reynolds’ hallmark product and is sold at most convenience stores. 36% of tobacco sales are via convenience stores. FLOC and our allies have made significant efforts to communicate with the corporate officers of 7-11, Couche Tard (Circle K and Kangaroo), and WAWA convenience store chains, but the chains have not responded to repeated letters and emails. Take action now and add your name to the petition calling on convenience stores to stop selling VUSE until Reynolds agrees to give farm workers a voice and a practical mechanism that they can use to negotiate better working and living conditions without fear of retaliation! The boycott was launched officially from April 9-20 2018 in honor of FLOC organizer, Santiago Rafael Cruz, who was assassinated on April 9, 2007 in our office in Mexico to try to stop our union from aiding farm laborers. We will honor Santiago’s sacrifices for justice by continuing the fight for which he gave his life and doing actions and pickets nationally outside of 7-11, Circle K, Kangaroo and Wawa convenience stores. ​ For information on how to get involved or to organize an action, email boycottvuse@floc.com .